Experience the Royal Courses of Morocco – Create your perfect golf tour or choose from one of our tours. Test your skills at 3 Royal Golf Courses, while experiencing a whole new world! Play 4 Royal Golf Courses, Explore 4 Imperial Cities, in 7 Unforgettable Days! See the sites, experience the greens on your weekend off. 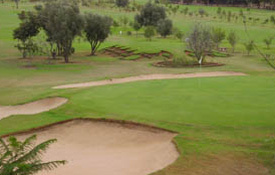 Because of the influence of the late King Hassan II, golf has become a highly esteemed sport in Morocco. Morocco has also gained international recognition in the sport due to the introduction of the much-coveted Hassan II Trophy.